From East Cowes ferry, 2nd exit at roundabout onto Well Road, A3021, A3054 to Ryde along Esplanade to boating lake, follow road round to right onto A3055 to Sandown, B3330 to St Helens. There are up to 350 ferry crossings a day to the Isle of Wight. 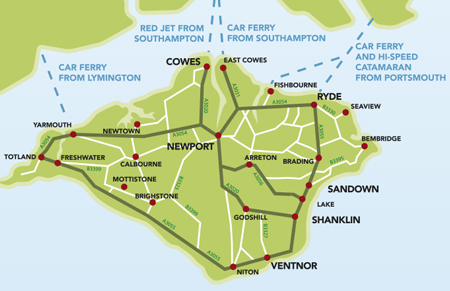 The most convenient car ferries from Southampton to East Cowes or Portsmouth to Fishbourne. 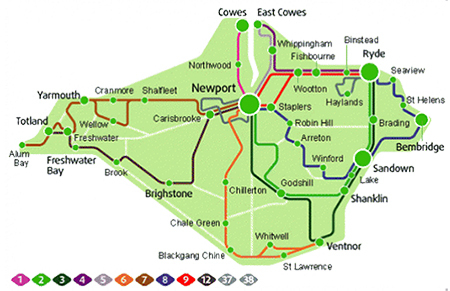 The passenger ferries are from Portsmouth to Ryde or Southampton to West Cowes and onwards by bus. Online booking tends to be cheaper.